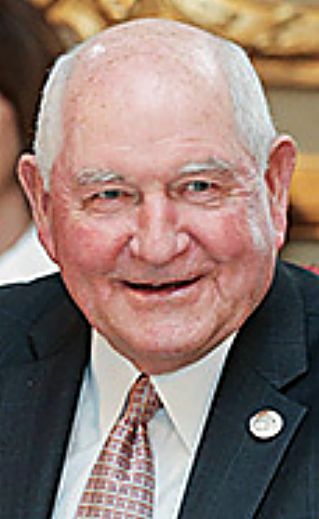 Agriculture Secretary Sonny Perdue announced Thursday that the Trump administration will place the Economic Research Service, currently under USDA's Research, Education and Economics mission area, with the Office of the Chief Economist under the Office of the Secretary, and relocate most of the employees of ERS and the National Institute of Food and Agriculture, another REE division, outside of the Washington area. The decisions were the subject of immediate criticism. "It's been our goal to make USDA the most effective, efficient, and customer-focused department in the entire federal government," Perdue said in a news release. "In our administration, we have looked critically at the way we do business, with the ultimate goal of ensuring the best service possible for our customers, and for the taxpayers of the United States. In some cases, this has meant realigning some of our offices and functions, or even relocating them, in order to make more logical sense or provide more streamlined and efficient services." ERS has "aligned" with OCE in the past, USDA said, and "moving ERS back together with OCE under the Office of the Secretary simply makes sense because the two have similar missions." "ERS studies and anticipates trends and emerging issues, while OCE advises the secretary and Congress on the economic implications of policies and programs. These two agencies were aligned once before, and bringing them back together will enhance the effectiveness of economic analysis at USDA." New locations have yet to be determined, and it is possible that ERS and NIFA may be located together when their new homes are found, USDA said. "To improve USDA's ability to attract and retain highly qualified staff with training and interests in agriculture, many of whom come from land-grant universities. USDA has experienced significant turnover in these positions, and it has been difficult to recruit employees to the Washington, DC area, particularly given the high cost of living and long commutes. "To place these important USDA resources closer to many of stakeholders, most of whom live and work far from the Washington, D.C. area. "To benefit the American taxpayers. There will be significant savings on employment costs and rent, which will allow more employees to be retained in the long run, even in the face of tightening budgets." Joseph Glauber, a former USDA chief economist, told The Hagstrom Report in an email that both the National Agricultural Statistics Service and ERS reported to an assistant secretary of economics before a reorganization of USDA in 1994. Although Perdue did not say that ERS would be "under" the chief economist, Glauber said, "It makes sense for ERS to be under the chief economist, but makes no sense to move them out of D.C. All that means is that they are sure to lose a lot of valuable staff." Another former high-ranking USDA research official said, "This is a very difficult decision. The current chief economist (Robert Johannson) has wanted ERS for a while. The problem as I see it is that ERS is a 'statistical agency' like several others in the U.S. government, and moving (its staff) to a 'policy' or one might say a 'political' office could remove that independence and the real or perceived integrity of its studies." "NIFA will just move into the control the land-grant universities — especially wherever they locate it," the former research official said. "The move impedes the changes that were underway to try to spread its research programs to wherever was doing the cutting edge research. Ensuring there is not duplication with other research will be more difficult to manage." The Union of Concerned Scientists noted that "earlier this year, the Trump administration proposed slashing ERS's funding by nearly half. These changes are yet another example of the Trump administration's attempts to weaken scientific integrity in policymaking." Ricardo Salvador, senior scientist and director of the Food and Environment Program at UCS, said, "Data collection must be objective and free from political interference." "Bringing ERS closer to the direct supervision of a political appointee could potentially limit the integrity and autonomy of agency research," Salvador said. "The USDA's proposal would also literally distance scientists from the department's decision-making process at a time when farmers, ranchers and eaters face significant challenges. Evidence-based research must be at the very center of the USDA's mission," Salvador said. The relocation of employees is expected to be completed by the end of 2019. No ERS or NIFA employees will involuntarily lose their job, USDA said, noting that every employee who wants to continue working will have an opportunity to do so, although that will mean moving to a new location for most. Employees will be offered relocation assistance and will receive the same base pay as before plus the locality pay for the new location. For those who are interested, USDA is seeking approval from the Office of Personnel Management and the Office of Management and Budget for both Voluntary Early Retirement Authority and Voluntary Separation Incentive Payments. "None of this reflects on the jobs being done by our ERS or NIFA employees, and in fact, I frequently tell my Cabinet colleagues that USDA has the best workforce in the federal government," Perdue said. "These changes are more steps down the path to better service to our customers, and will help us fulfill our informal motto to 'Do right and feed everyone.'"